Yesterday was me and my boyfriend’s birthdays! Exciting! After a long day at work, I wanted to go buy some ice cream because summer has finally caught up with Montreal! From 11C to almost 30C in a week, spring has come and gone. One of the best ice cream places in Montreal is situated in the Marché Jean-Talon: the Havre aux Glaces. Once I got to this outdoor market, I found myself surrounded with flowers, fruits, noises, smells, colors and people from all countries and ages. 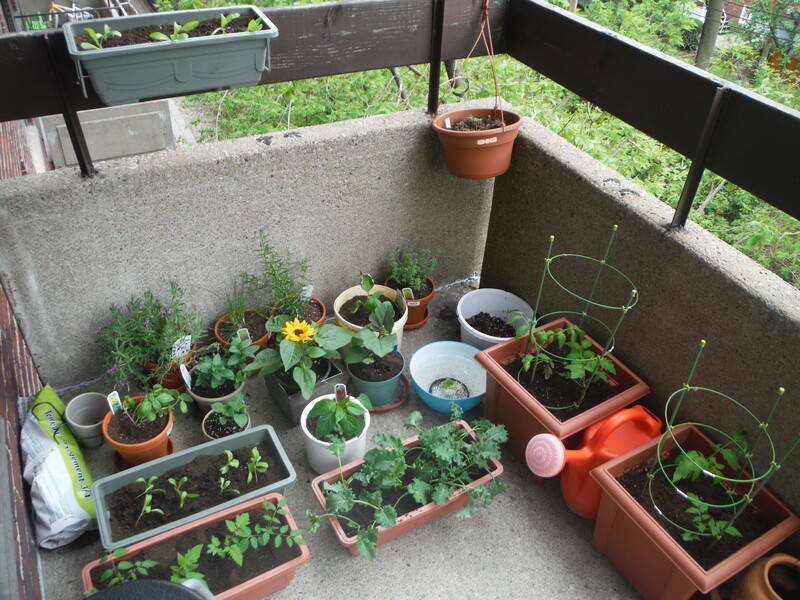 I had forgotten how much I liked strolling between the stands and looking for more plants to put on our balcony. I really enjoyed going to the market as it proved to be the perfect place to find the last plants we needed up here. So next time you get yourself in a market, take the time to steal a few smells by softly rubbing your fingers on fine herbs, soak your eyes in colours and listen to lively people’s friendly arguments. You might find some new happy plants to keep you company!